Giant Nesting Doll Too Big For A Plane! According to Patrick Reevell of ABC News, "A flight carrying part of Russia’s Olympic team back to Moscow from Brazil was delayed for hours by a giant Russian nesting doll that was too large to be loaded onto the jet." The Monday, August 22nd flight was delayed at least 3 hours! 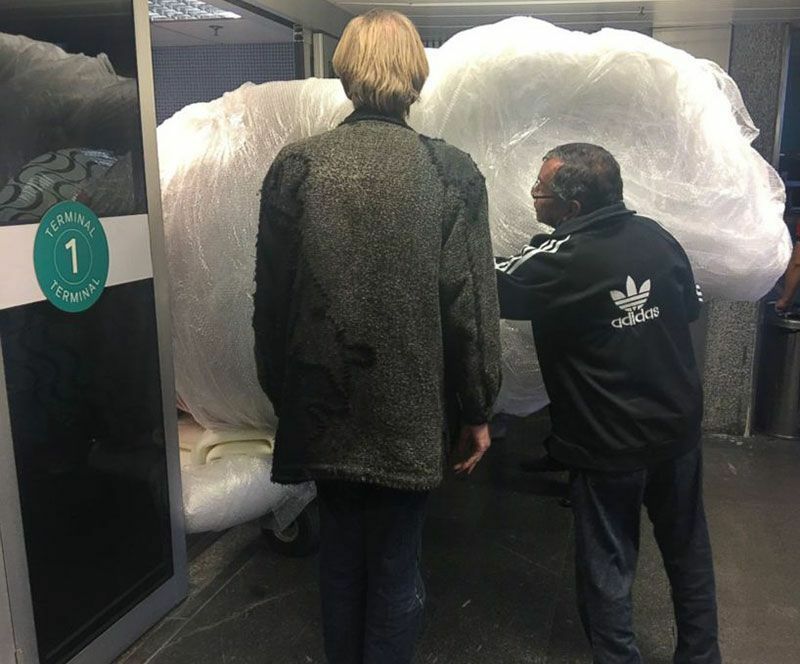 "Dmitrii Simonov, deputy editor-in-chief at the popular Russian sports newspaper, Sport-Express, posted photographs on his Twitter account of the bulbous doll stuck in a doorway at the airport." Reevell informs. So what happened to this extra large matryoshka? Did they open it up, layer by layer, hoping that the halves would fit better than the whole? Did they find a bigger plane? Did they leave the doll behind? Well, apparently, the mammoth matryoshka eventually made it through the door and on to the plane. There are no reports on how she did getting off the plane or going home. Lindsey Mae is freelance artist who enjoys writing fun blog posts for Arina Anashkina and The Russian Store.